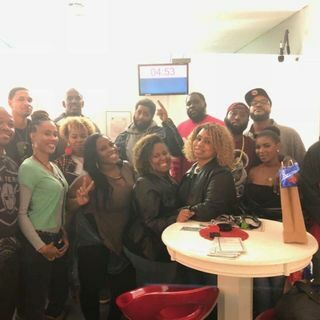 Episode 9: The crew surprised Braylen for his 35th birthday with the help of Lady Reeses & Miss Kita’s planning and organization of the event, the lady’s pulled off getting everyone (with the exception of the 3 Frat members who live outta state) together for the Magicians Library-Skeleton Key Game Escape Room turnup event. We were trapped in the room for a little over an hour while we searched desperately to find the clues which lead to the keys to unlock us to our freedom. It was the first ... Más informaciones time in almost a decade the majority of us were in the same room let alone locked in together. We had a blast, it’s a great team building activity and highly recommend www.skeletonkeyrooms.com also make sure you go buy your tickets for the live tapping podcast show Friday Night March 2nd 2018 at 8pm go to thefrathousechronicles.eventbrite.com or over on the web at www.frahouse.club and subscribe, download, share and tell a friend. If you have any questions you’d like us to answer on the air hit us at podcastChronicles@gmail.com.